Pakistan cricket team has current finished a home tournament against West Indies after long time. Though, tournament just consisted of three T20I matches. But hopefully within very short time, PCB would arrange a big tournament at their home venue. Due to security reason, the cricket teams does not want to visit Pakistan where in last 2009 while Sri Lanka visited Pakistan, they were attacked. Since then Pakistan was restricted by ICC about arranging a home tournament. But recently they have arranged a T20I tournament against West Indies which was executed at Karachi. In the tournament, Pakistan whitewash West Indies in T20I series. It was a great achievement of Pakistan and obviously Pakistan is a leading team in T20I format and they simply destroyed Windies team in all three matches. Though, team West Indies did not able to ground their best eleven. Even their regular T20I skipper was absence in the team. Along with him more than four players did not come to Pakistan due to security concern but their CWI provided them much incentive to play in Pakistan. Their tournament started in 1st April, 2018 and earlier this two teams did not play any warm up match. Consecutively three days they played three matches and left Pakistan for good. 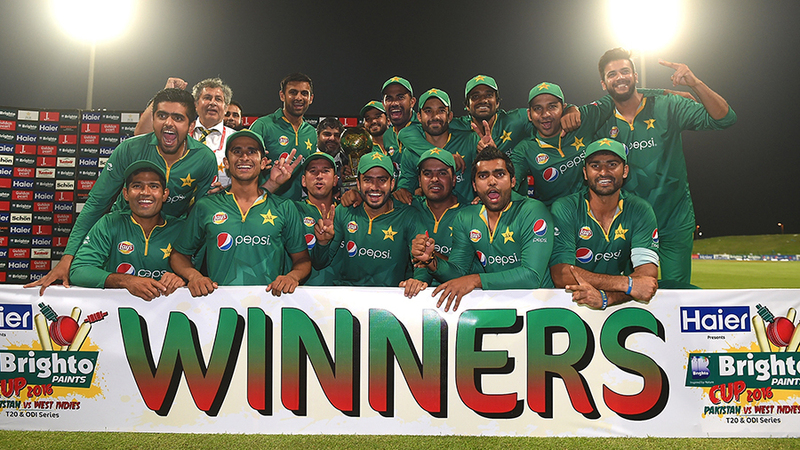 Pakistan already secured the series by winning first two T20I matches. In the 3rd T20I which was executed yesterday in 3rd April, 2018 and the host venue is National Stadium, Karachi. Earlier yesterday at Karachi, West Indies won the toss and they changed their decision and decided to bat first. In the first match, they decided to ball first and suffered. So, this time they took bat instead of field. Came to bat they did played full 20 overs and presented 153 runs in front of the Green Shirts. Andre Fletcher scored 52 runs highest in 43 balls for Windies. For Pakistan Shadab Khan took two wickets. However, West Indies lost six wickets in the match. Later, Pakistan came to chase the score and this time Babar and Fakhar made a good start. They added 61 runs in their opening partnership. Fakhar was gone with 40 runs where Babar made half century in the match. Later, Hussain Talat and Asif Ali finished the match. Both of them remained not out with 31 and 25 runs respectively. So, by losing two wickets Pakistan reached the destination. They played just 16.5 overs to make the chase. So, Pakistan won the T20I series against West Indies.